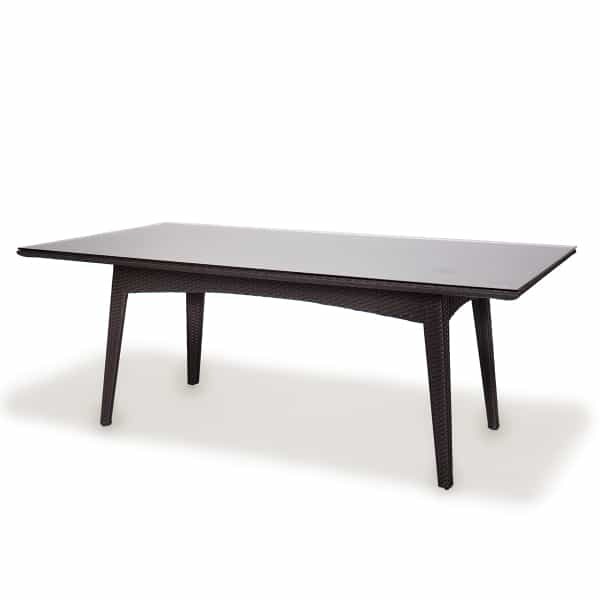 Caluco has created a simple yet elegant choice that may integrate into a variety of outdoor settings. 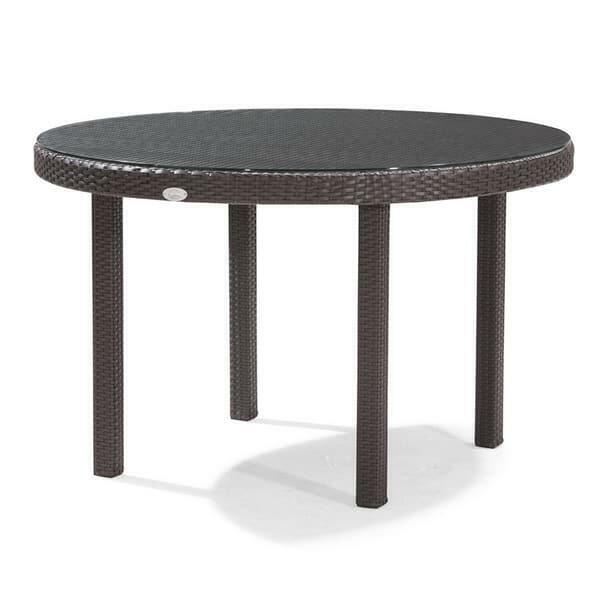 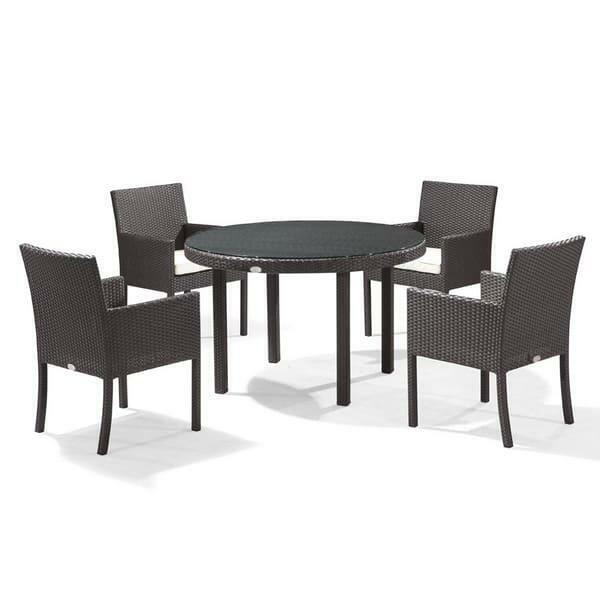 The Dijon Woven Dining Set is low maintenance and weather-friendly, fade and rain resistant, and a perfect choice indoors or out. 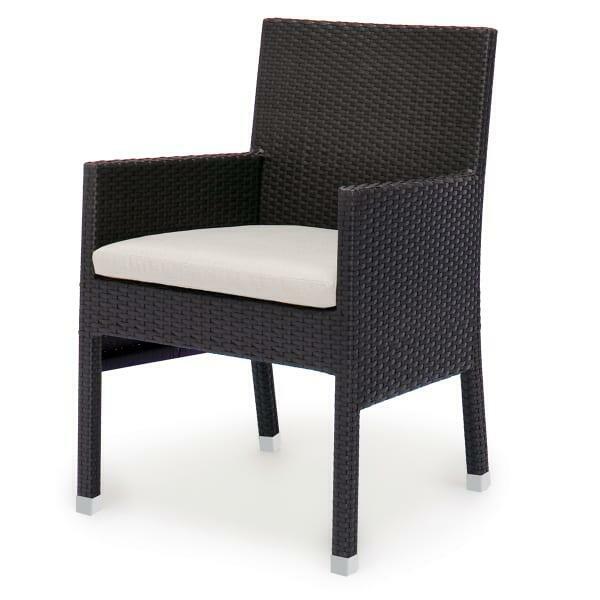 Rust-free premium aluminum frames are covered with trendy dark java resin wicker. 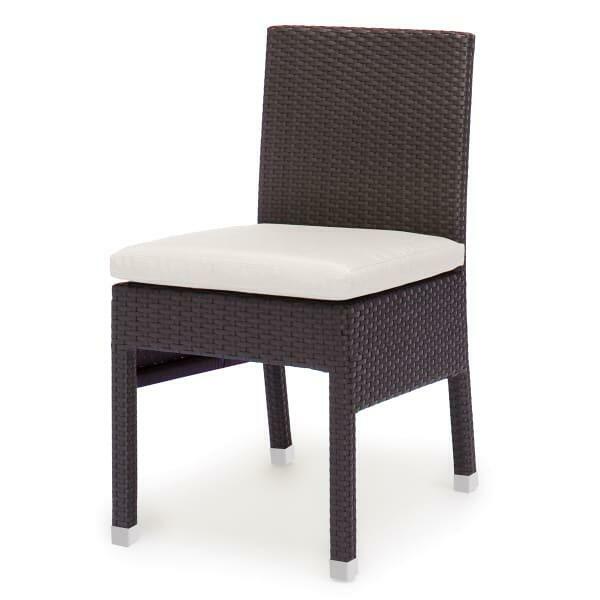 Caluco offers a large selection of fabrics for customization! 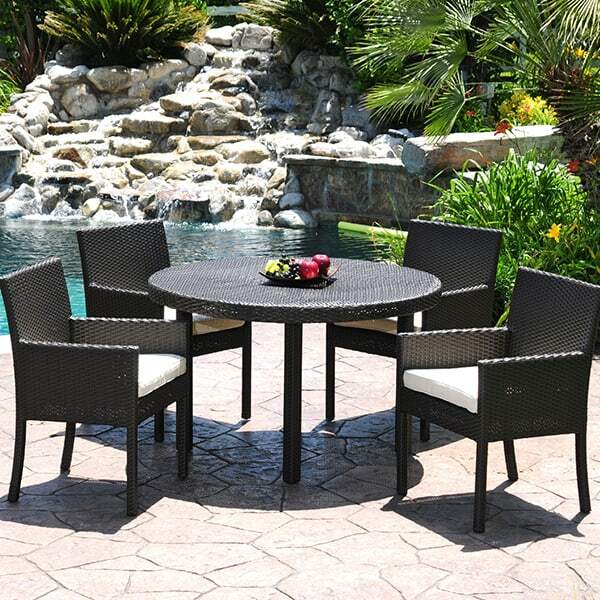 Featured Set Includes: 4 Dining Chairs and 48" Round Table. 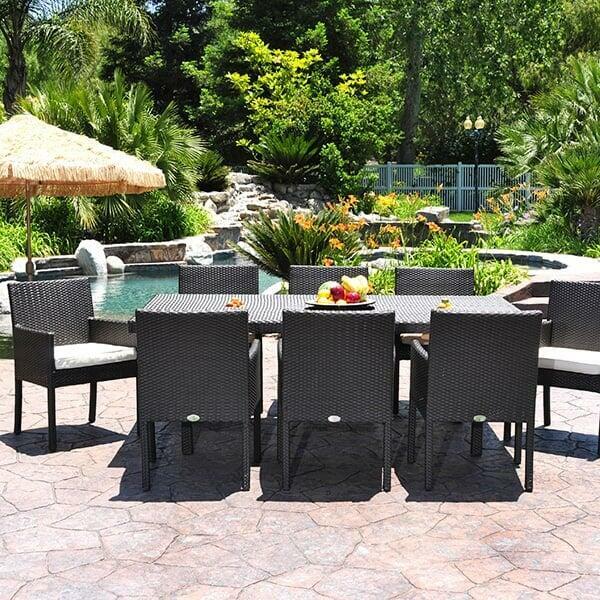 W 24" x D 21" x H 36" Seat Height 17"
W 18" x D 21" x H 36" Seat Height 17"
W 36'' x D 36'' x H 29"